God has an incredible purpose for your life, and Growth Track is designed to help you connect with that purpose. In Growth Track, you will spend four Sundays diving into what means to be the church, follow Jesus personally, discover your purpose and make a difference with your life. 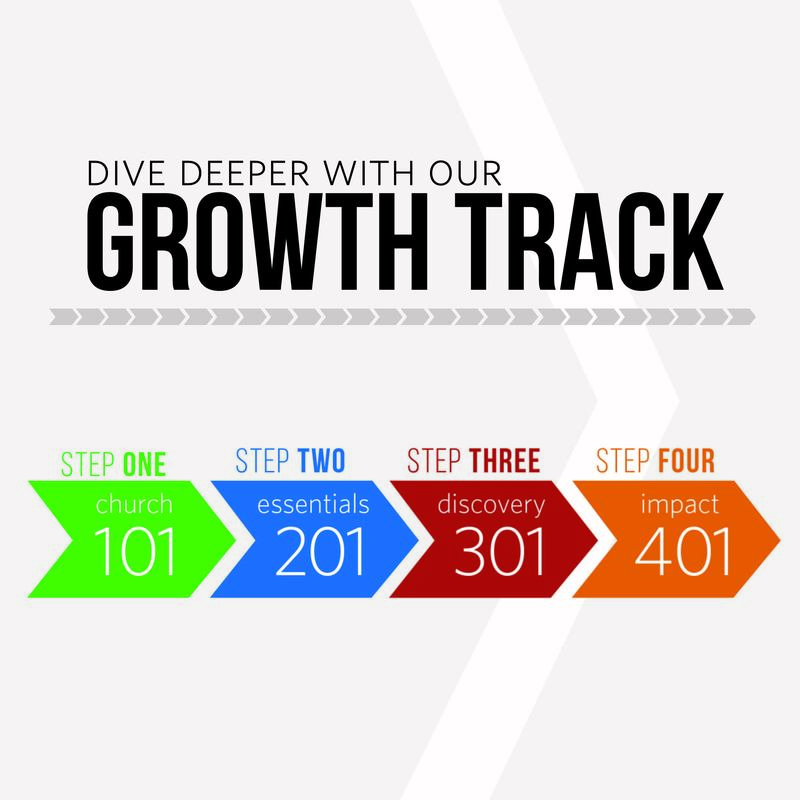 Growth Track is a catalyst to help you become a life-giving follower of Jesus Christ. The Track offers the tools necessary to make this happen in your life. From the initial decision to accept Jesus as your Lord to your movement into life-changing ministry, we will lead you step-by-step from healing to growth and into a fulfilling ministry role. You belong here! We are a perfect church for imperfect people and want to help you better understand what it means to be part of the church. This class is a basic introduction to RockPoint Church and will help you get better acquainted with the history, values, and vision of RPC. You'll leave with a much better understanding of God's purpose for the Church and where we as a local church feel God is leading us! In this class you'll discover the essential beliefs and practices that all believers need to become fully developing followers of Jesus Christ. Learn how you position yourself to best cooperate with the Spirit of God and experience the transformational grace available to you! This class will give you the practical tools essential for your spiritual growth and maturity. We want to help you reliaze what makes you so unique! This class will help you discover your unique personality, gifts, and purpose in life--and how God combines them together for the best fit in ministry. This class is fun and can be surprisingly revealing for many! This is where is all comes together! Class 401 is your opportunity to get connected to a Ministry Team at RockPoint Church. Based on your personality and spiritual gifts that you discovered in Class 301, you'll attend an orientation for the team or ministry area that best fits your design and passions.